After more than three long years of bloody warfare, both Union and Confederate soldiers are demoralized and worn out. Will this war ever end, was the pervasive thought. Despite this never ceasing carnage and hardship, neither side is willing to compromise or surrender. Union commander General U.S. Grant was utterly convinced that it was only a matter of time, and worse yet, Confederate General Robert E. Lee was also similarly convinced. Yet, there may yet still be hope for the South, and so the fighting continued, and the campaign for Petersburg began. 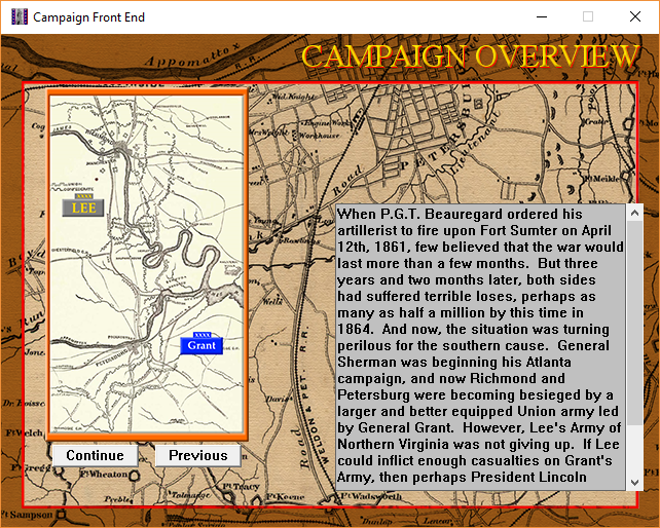 For nine months, starting in June of 1864, the campaign was fought, and shots were fired daily. Some battles were small, some large, and both sides suffered unimaginable hardships. There were days that were unbearably hot, and others unbearably cold, some wet and some dry, and all were bloody and miserable. 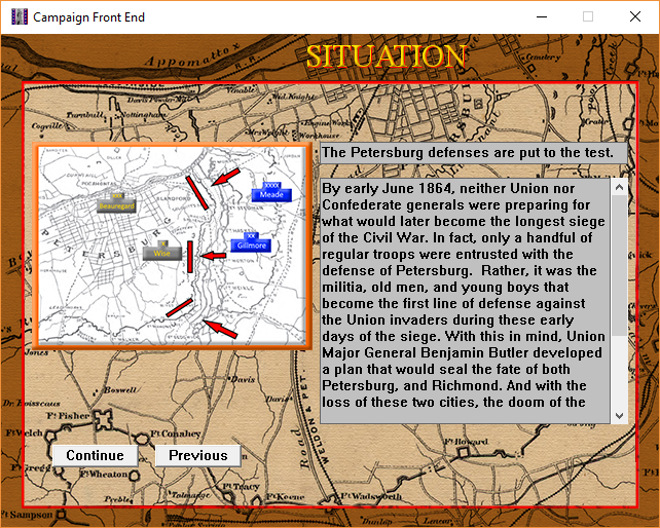 Now it’s your turn to experience these challenges, simulated for you in Campaign Petersburg. 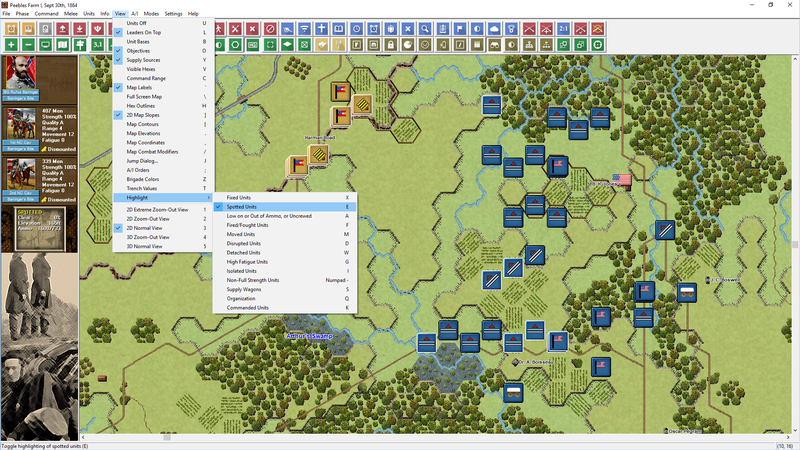 From the confines of well-prepared trenches, and city blocks, to the heavily forested Virginia country side and open farm land, your troops will maneuver and attempt the destruction of your enemy. Prepare yourself and engage the enemy, your soldiers are awaiting your orders. 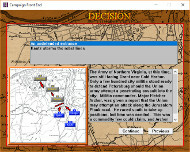 195 scenarios are included, and all can be played as either side, against the A/I or other human challengers. And 31 of these scenarios have been specifically designed to be played against the A/I, for a greater challenge for those players that are more experienced. Most scenarios can be played against the A/I in a single day, yet others may take several days to complete, or even weeks. Just save, and continue later at your own pace. Battles include: the assaults on Petersburg in June, Ream’s Station, the Crater, Globe Tavern, Peebles Farm, Burgess Mill, Hatcher’s Run, Fort Stedman, White Oak Road, Dinwiddie Court House, Five Forks, and the final battles leading to and including Appomattox Court House. Fight in normal conditions, or face you enemy using the added weather feature. 3 campaigns are included. 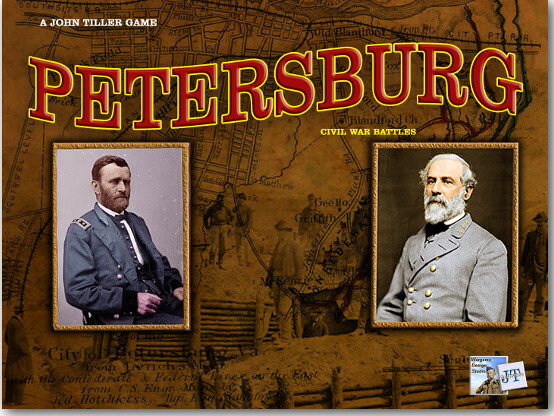 The early Petersburg battles, the later Petersburg battles, and the Appomattox Campaign battles. 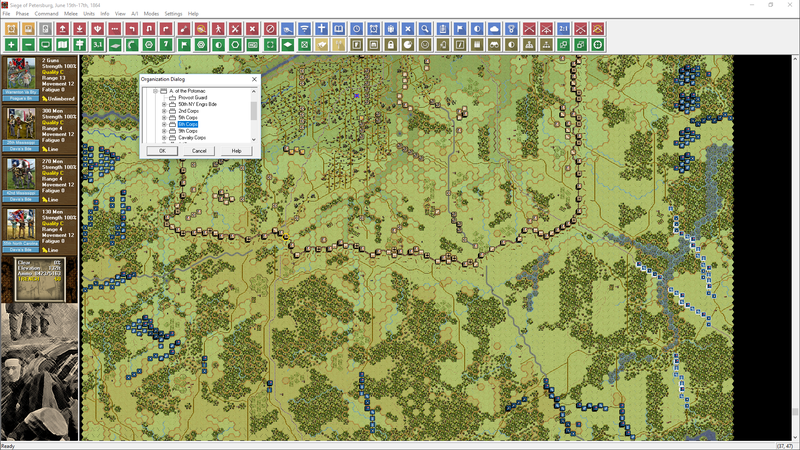 3D hand drawn maps, and new 3D units, with individualized regimental flags. Colorized leaders and unit files. Traditional and refreshed B/W files are also an option. 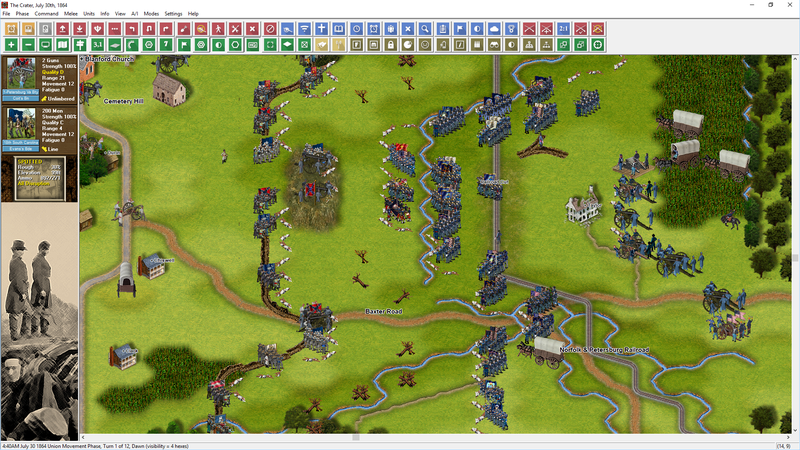 New and improved 2D graphics, for both maps and units. 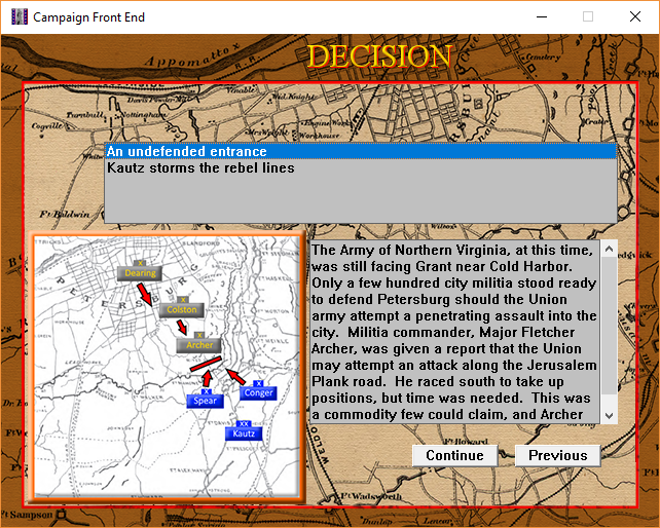 Scenario and Campaign editor: Build new, or improve existing battles and campaigns. 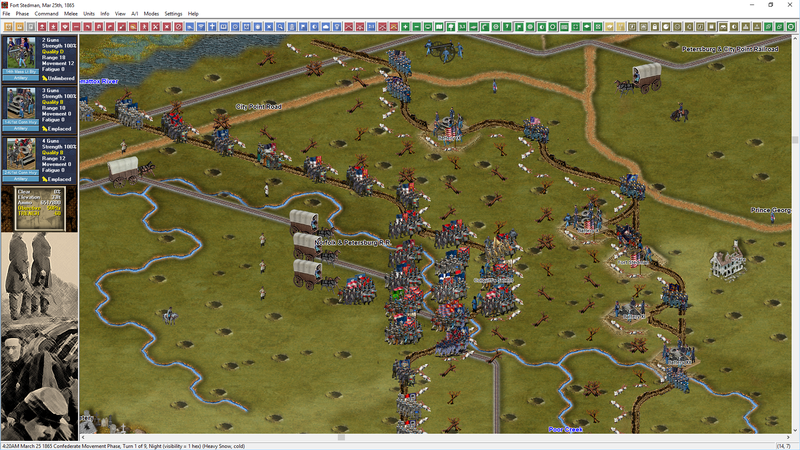 Many “What If” battles and maps, both large and small. 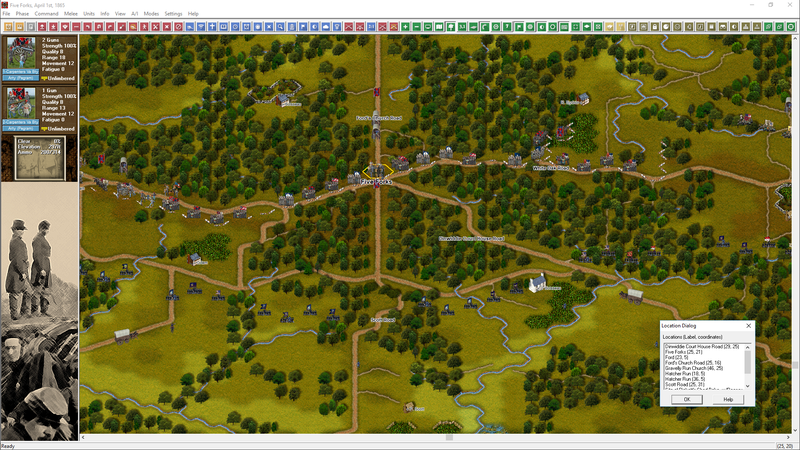 Including the massive Petersburg Master map. 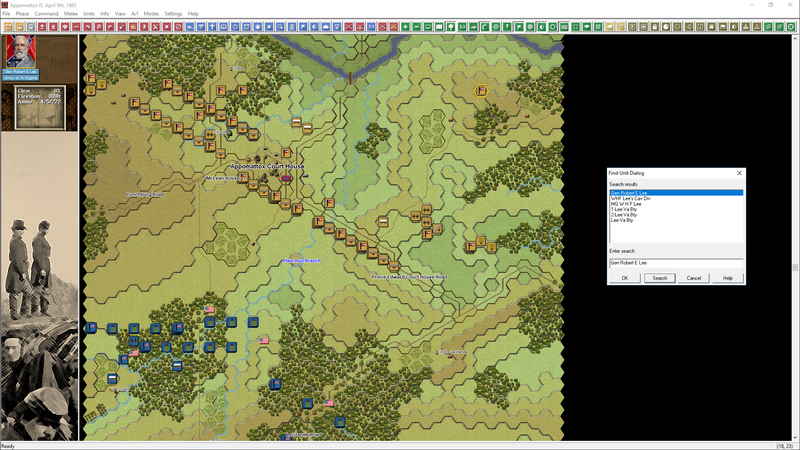 Added the Extreme Fog of War optional rule. Greatly expanded and redesigned the Standard game engine Toolbar. A true, large (4X) 2D map view. Implemented dozens of new hot keys. Special assistance given by: John Ferry for much of the OOB research and several scenario contributions. Copyright © 2019 John Tiller Software. All rights reserved.